Lovers of the classic Nintendo video game The Legend of Zelda will have the chance to experience their favorite game in an entirely new way as the music from the famous game series goes orchestral. The Legend of Zelda: Symphony of the Goddesses is touring the states, and recently added two new performance dates in Arizona. The symphony promises to be a feast for game fanatics of all ages. It follows the storyline of the Zelda series from A Link to the Past, first released in 1992, to Twilight Princess, released in 2006. The symphony, conducted by Eimear Noone also highlights tunes from other beloved games in the series. Chad Seiter arranged the music for the symphony. Seiter also worked on the music for some other nerdy delights, including Star Trek, Lost and Fringe. The tour began last year as a 25th anniversary tour, and only played three shows — in London, Tokyo and L.A. This leg of the tour started Jan. 10 and will continue into late September. Since being released in 1986, the Zelda franchise has sold more than 65 million games worldwide, and Nintendo is still releasing new versions of the game. The newest entry in the series, Legend of Zelda: Skyward Sword, released for the Wii in November 2011. The game is the longest running of all time, holding five other Guinness World Records, including highest rated game of all time. The Legend of Zelda series has not only provided gamers with an excellent gaming experience. The first game in the 26-year-old series, The Legend of Zelda, was the first game to allow players the opportunity to explore an open world. Previously, the only option was to follow a linear path, like the Mario game series. This opened the door for modern day exploration-based video games. 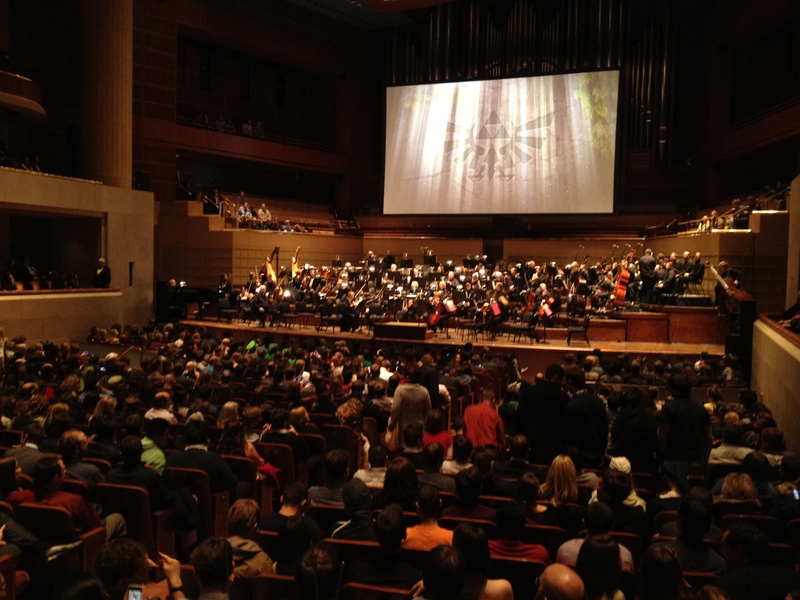 The Symphony of the Goddesses is the first game-themed concert to feature a complete four movement symphony. The symphony comes to Phoenix April 20 and 21 and tickets range from $45 to $125.